Hypothyroidism is a condition in which the thyroid does not make enough thyroid hormone. In such a situation, the thyroid is considered to be an underactive thyroid. Hypothyroidism is more common in women and also in people who are above the age of 50. Common causes of hypothyroidism include; pregnancy (often called postpartum thyroiditis), an autoimmune attack in which the immune system attacks the thyroid, and viral infections. Other causes of hypothyroidism include; birth defects, radiation treatments, surgical removal of part or all of the thyroid gland, radioactive iodine used to treat an overactive thyroid, certain medications, and pituitary tumor or surgery. Common symptoms that are associated with hypothyroidism include; constipation, fatigue, dry skin, muscle or joint pains, weight gain, sadness or depression, thin/brittle hair or fingernails, irregular or heavier menstrual periods, hoarse voice, and increased sensitivity to cold temperature. Don’t go overboard on your consumption of soy products as soy is a goitrogen that can disrupt the production of thyroid hormones. Include foods that are rich in selenium in your diet. You could also take selenium supplements. 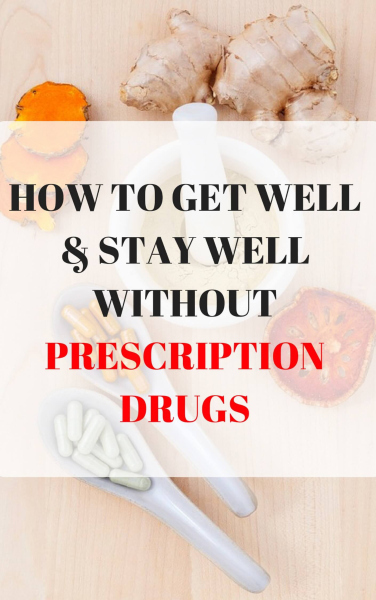 Ensure you consult with your healthcare provider before taking any supplement. Ensure you have a healthy iodine level. Request for a thyroid collar when having a dental x-ray. If you have any deficiency of vitamin D issues, address that immediately. Stop smoking cigarettes as cigarettes contain thiocyanate which can damage your thyroid gland. Be conscious of your exposure to toxic chemicals (such as non-stick coating on pans and triclosan) and avoid them as much as possible. An effective way to deal with hypothyroidism is to drink a diluted apple cider vinegar solution by mixing two tablespoons of it in a glassful of warm water. ACV helps in balancing the pH of the body and regularizes the hormones. ACV is also effective in reducing weight and increasing metabolism in a natural way. Apple cider vinegar detoxifies the body, thus, promoting overall health. Furthermore, ACV also helps in dealing with various other health conditions such as high blood pressure, diabetes and high cholesterol in a natural and effective way. The fatty acids present in pure coconut oil is highly effective in treating thyroid disorders. Coconut oil increases the basal body temperature and is beneficial for patients with hypothyroidism. Coconut oil also increases metabolism and improves your energy levels. Get extra virgin, organic and pure coconut oil and mix two tablespoons of it in a glass of milk. Consume it every day during your breakfast along with your food. Also, use this oil for cooking your dishes on a regular basis. A deficiency of vitamin D in the body may lead to several disorders and poor health. It may also cause hypothyroidism. To treat the condition effectively, it is important to maintain adequate vitamin D levels in your body. For this, you could expose yourself to the morning sun for at least 15 minutes every day. This morning sunlight exposure would provide you with vitamin D and boost your immunity as well as help with calcium metabolism. You can wake up in the morning and do light exercises outside, under the morning sun, to reap double benefits. You will not only increase your physical activity which would improve the thyroid disorder but also obtain adequate vitamin D through sun exposure. You could also consume foods that are rich in vitamin D.
Fish oil has high amounts of omega-3 fatty acids which would prove to be beneficial for treating hypothyroidism. Omega-3 fatty acids reduce inflammation in the body as well as boosts metabolism. You may take up to 3 grams of fish oil supplements on a daily basis after consulting a doctor to know its suitability for you. Avoid using it if you take blood-thinning medication. If you have a chronic thyroid problem, stinging nettle may help in bringing relief. Stinging nettle contains a high proportion of iodine which may regularize the thyroid functioning. Prepare a nettle tea and consume it 2-3 times in a day. You may also use a little amount of nettle oil to massage the throat area. This would effectively improve the thyroid functioning and regularize the levels of hormones produced by the thyroid in your body. Do this on a regular basis for effective results. The GLA (gamma linoleic acids), present in evening primrose oil, helps in promoting the thyroid functioning. It not only elevates the levels of thyroid hormones but also reduces inflammation in the body. The oil is a great remedy for hair loss too. Furthermore, evening primrose oil also helps in dealing with an excessively heavy flow during menstruation in women. You can take 2-8 grams of evening primrose oil supplement on a daily basis. However, it is important to check with your doctor before starting on any supplements. This brown colored seaweed has a high amount of iodine which improves thyroid functioning in an incredible way. Kelp can effectively deal with iodine deficiency and treat hypothyroidism naturally. However, if you have an autoimmune thyroid problem, this remedy is not recommended. It is best to talk with your doctor to know if it is a suitable way to treat your condition. Don’t forget to also ask for the appropriate doses of kelp supplements for your condition. Besides having potent anti-inflammatory action on the body, ginger is high in minerals such as potassium, magnesium, and zinc which improves the functioning of the thyroid gland. Prepare a ginger tea by steeping sliced or crushed ginger roots in a cup of boiling water for 5 minutes. Strain and drink this tea 2-3 times every day. You can also add fresh ginger root in cooking and soups. The use of Siberian ginseng helps in boosting thyroid functioning and has been used for many years in traditional medicine. Siberian ginseng stimulates the adrenal as well as the thymus gland which makes the thyroid gland function more effectively. Siberian ginseng also boosts your energy levels and alleviates fatigue. You may take 100-200 mg of its supplement twice every day once before having breakfast and one time before your lunch. Make sure you talk with your physician before using this remedy to treat hypothyroidism at home. Agnus castus has been used for decades to deal with thyroid problems. The best part is that Agnus castus has little to no side effects. The herb aids in promoting thyroid functioning and helps you to combat hypothyroidism and related problems. All you have to do is consume it on a regular basis. B vitamin may help you cope with hypothyroidism in an effective way. A deficiency of B vitamins is usually found in patients with compromised thyroid functioning. Intake of B vitamins has also been proven to be beneficial in restoring proper functioning of the thyroid. You can obtain these B vitamins naturally by including certain food in your diets such as fresh vegetables, fortified cereals, and whole grains. Vitamin B supplements can also be takes after consulting a physician. Guggul is extracted from gum resins from the tree Commiphora Mukul found in India. It contains guggulsterone which is proven to be helpful in treating hypothyroidism. Guggul also helps in reducing obesity and lowering cholesterol levels in the body. Furthermore, guggul has an anti-inflammatory action on the body which makes it a great remedy for hypothyroidism. You may take 25 mg of guggul every day. It is important to keep an eye on your T3 and T4 levels when following this remedy. Guggul may interfere with birth control pills, estrogen and Beta blockers. 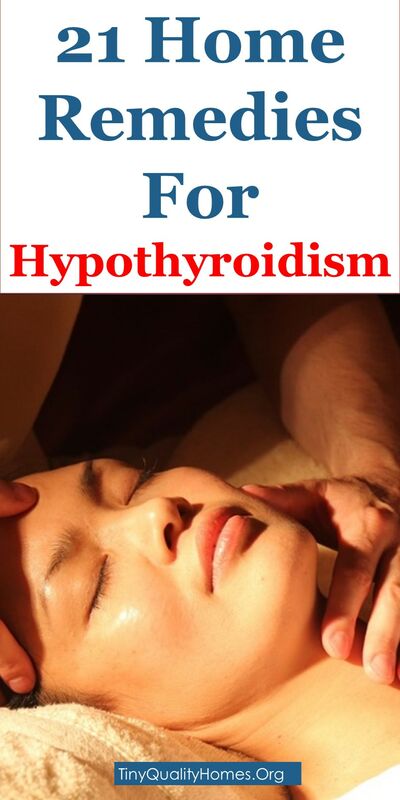 Hence, special care must be taken while using it for hypothyroidism. Chamomile has numerous health benefits. It has a relaxing effect on the body which may soothe the nerves. It also reduces pains of muscles and joints in an excellent way. Prepare a herbal chamomile tea by adding its extract to a cup of hot water. Let it steep for some time and consume it once, every day, to relieve the symptoms of hypothyroidism. Flaxseed oil contains omega-3 fatty acids which may help in treating hypothyroidism. Flaxseed oil improves the functioning of the thyroid gland which helps in regularizing the hormones produced by it. Omega-3 fatty acids also boost your heart health, thereby, improving your overall health and fitness. Include flaxseeds or flaxseed oil in your everyday diet to relieve the symptoms of hypothyroidism. The high concentration of iodine present in black walnuts not only prevents hypothyroidism but also treats it effectively. Black walnut improves the thyroid functioning which helps in reducing the symptoms in a natural way. Black walnuts are also high in various minerals including selenium which is proven to be beneficial for a better thyroid functioning. Glutathione is an antioxidant that may help in healing the thyroid in an incredible way. It works by strengthening the immune system which may protect the thyroid from disorders while combating the damaged already caused to it. Glutathione also helps in reducing autoimmune flare-up, thus, bringing great relief. Due to this reason, it is often used to treat Hashimoto’s thyroiditis. You can obtain glutathione by including foods such as avocado, spinach, broccoli, grapefruit, asparagus, peaches, squash and raw eggs in your diet. A gluten-free diet helps in reducing inflammation in the body. A gluten-free diet may also be helpful in combating autoimmune attack which may aggravate hypothyroidism. This is because of the identical composition of thyroid tissue and gluten which may initiate an autoimmune flare-up as the immune system could mistake the thyroid tissues for gluten. Therefore, stay away from foods that contain gluten. Also, avoid foods containing high amounts of sugar and trans fats. Hemp seeds or hemp oil can be used to stabilize the thyroid hormone. It contains omega-3 fatty acids which reduces inflammation, improves metabolic rate and relieves the symptoms associated with the poor functioning of the thyroid. Oats is one of the best foods to include in your diet if you have hypothyroidism. It is packed with high proportions of fibers that helps in improving digestion and curing constipation. Besides the various vitamins and nutrients present in oats, oats also contain selenium which improves thyroid functioning in a natural way. For this reason, it is often recommended for patients with hypothyroidism. Seafood, as well as seaweeds, are high in iodine content that can be used by the body to deal with hypothyroidism. Since the condition is often associated with iodine deficiency, this remedy helps in preventing the condition from aggravating while healing the damage caused to the thyroid gland. Seafood, in general, helps in normalizing the hormones produced by the thyroid gland in a natural way. Include fish such as salmon, trout, and clams to obtain adequate iodine. Licorice is another natural ingredient that may help in improving the functioning of the thyroid hormone. Licorice inhibits the breakdown of a hormone called cortisol which is important for maintaining the functioning of the thyroid hormone. To improve your cortisol levels, you may use licorice in its natural form or simply take its supplement on a regular basis after consulting a doctor.